Based on Green Tea Turmeric, Fennel, Pilosella and Pineapple. 1 x 50ml bottle. 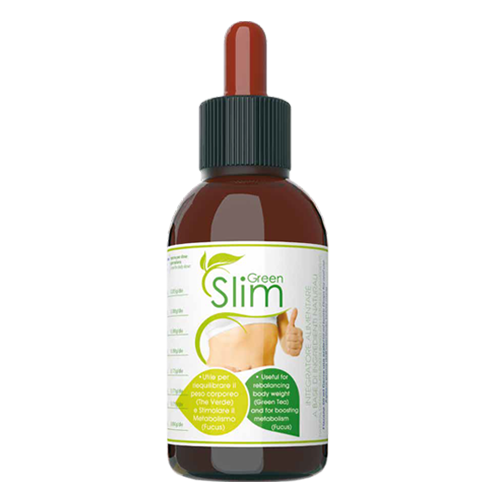 Green Slim dietary supplement in liquid concentrate to be diluted, processed by the studies of Dr. Sara Pellegrino, unique and effective way to promote weight loss and reduce cellulite exclusively formulated with herbal extracts, containing Green Tea, Turmeric, Fennel, Pilosella and pineapple for a specific treatment for slimming, draining and purifying. 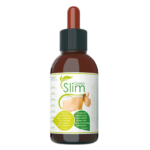 Green Slim thanks to its components, has a triple action: Increase your metabolism; It reduces the feeling of hunger; Burns fat. Do not take if pregnant or nursing. Always consult your doctor before embarking on any weight loss regimen. Do not exceed the recommended dose. Producers can change the composition of their products. Therefore, the product package may contain different information than that shown on our site. Please always read the label, warnings and instructions given on the product before using or consuming it.